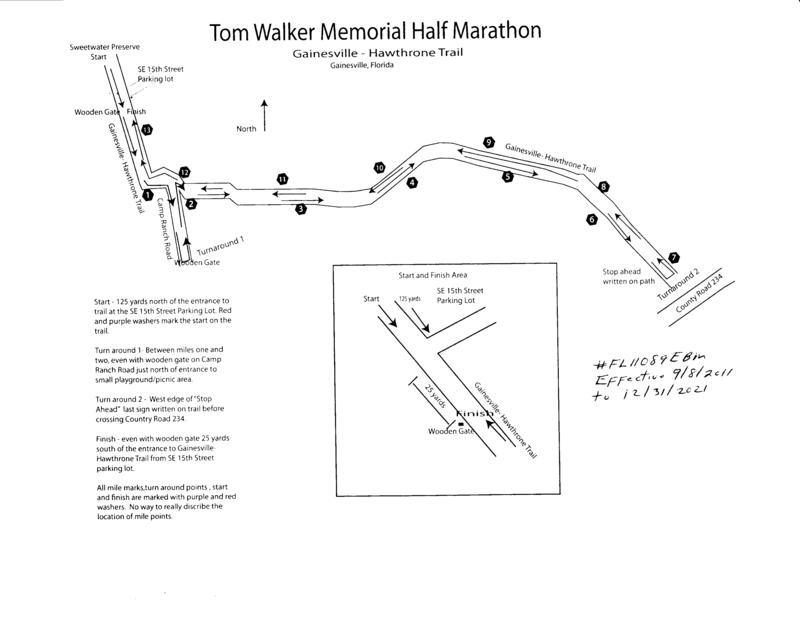 The Florida Track Club hosts our annual Tom Walker Memorial Half Marathon Run on the beautiful Gainesville-Hawthorne State Trail. This is an out and back course that starts at the beginning of the Gainesville-Hawthorne State Trail and heads east along the trail to the turn around point just before the County Road 234 crossing at the Rouchelle Parking Area. The trail is a wide paved path with plenty of shade. The course is mostly flat with some gradual hills in the first and last mile and a short hilly section between miles 2 -3 and 11 - 12. The 2018 edition of our race will take place on Sunday November 11th with a scheduled race time of 8 am. This is a chip timed race on a USATF-certified course. The race will take place on a paved rails-to-trails that crosses the northern portion of Paynes Prairie State Preserve. Enjoy the scenery of a trail race without the twisted ankles, and enjoy the smooth pavement of a road race without the traffic! 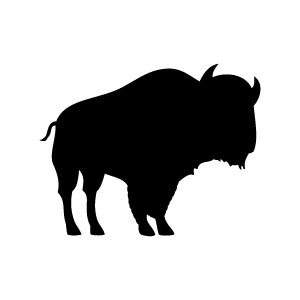 The race starts and ends at Boulware Springs Nature Park which is home of the historic Bouleware Springs Water Works. The course will feature duct tape numerals on the actual trail pavement for every single mile marker of the course. The aid stations will have water and gatorade. Water stops will be located at approximately 1.15, 4.85, 6.85, 8.85, and 12.15 miles along the half marathon course. There will also be toilet facilities at the water stops but just one at each. At miles 1.15/12.15 toilet is the permanent facility on the trail.